Known for her engaging combinations of text and image, Corita Kent (1918–1986) was a groundbreaking figure in the Los Angeles art world of the 1960s. A member of a staunchly religious family, she joined the Order of the Immaculate Heart of Mary in 1936. From 1947 to 1968, she taught classes in the art department at Immaculate Heart College in Los Angeles, where she encouraged a highly collaborative artistic environment. A vibrant yet demanding teacher, she encouraged her students to engage with the world beyond the classroom both artistically and socially. Her own work, characterized by striking combinations of bold graphics and poignant texts, drew upon her experience living as a nun and an activist in Los Angles during the 1960s. Her serigraphs speak in the language of Pop art, with words and images borrowed from everyday sources—advertisements and street signs, Bible passages and contemporary song lyrics. Often commenting on the social issues that defined this tumultuous period, including the Vietnam War and racial injustice, her dynamic images continue to resonate with contemporary viewers. In 1968 she left the order and went on to work as a full-time artist for the remainder of her life. Now in the second half of her career, she continued to produce prints that combined brightly colored images with text, conveying deeply personal messages of love and hope. She was diagnosed with cancer in 1974, and ultimately lost her lengthy battle with the disease on September 18, 1986. 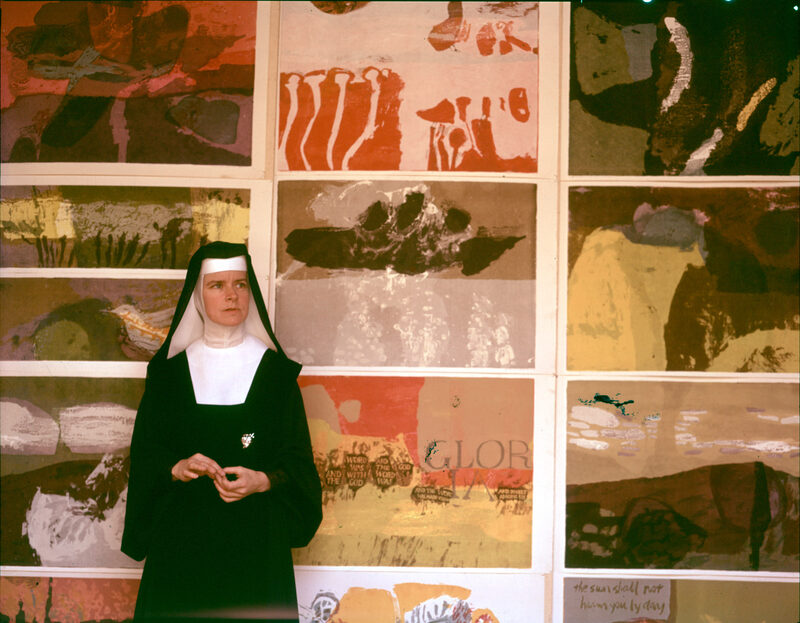 Upon her death, Corita Kent donated her personal art collection to The UCLA Grunwald Center for the Graphic Arts. 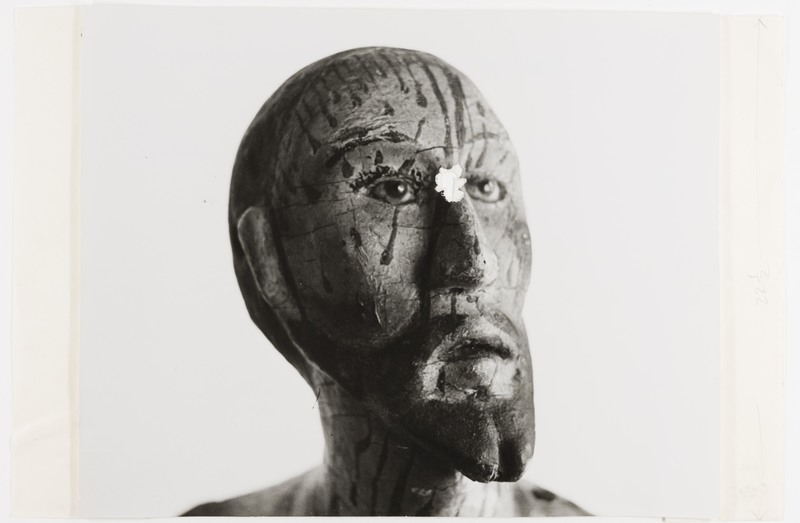 Totaling more than 1,400 objects, the Hammer Museum's collection of her work is particularly notable for its extensive selection of preparatory materials. Ranging from sketchbooks to layouts, these works shed light on her unique creative process. The layouts, in particular, evince her meticulousness as a printmaker. Consisting of layered images and text on multiple sheets of paper and covered in precise directions for the printer, they reveal the complexity and care that underlie her iconic screenprints. 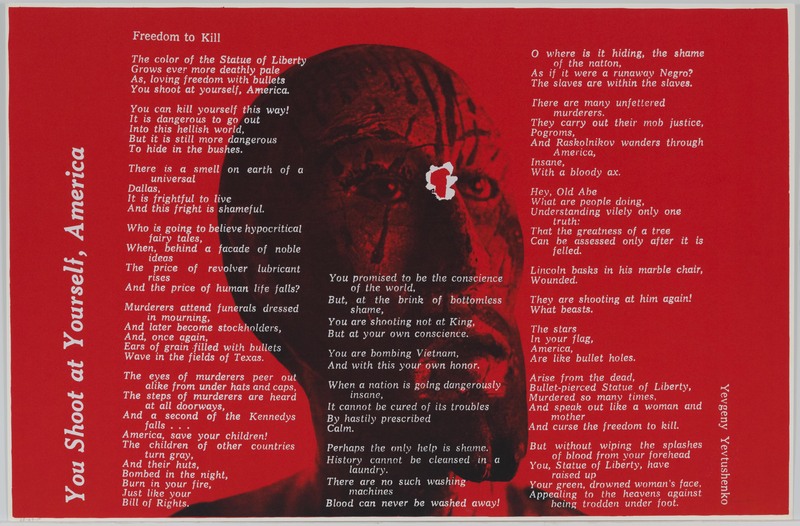 The Corita Kent digital archive features a gallery of more than 600 completed screenprints and preparatory materials along with a biography of the artist, a selection of scholarly essays, and a variety of other resources intended to aid in further research on Corita Kent and her work. This digital archive is made possible with the generous cooperation of the Corita Art Center. 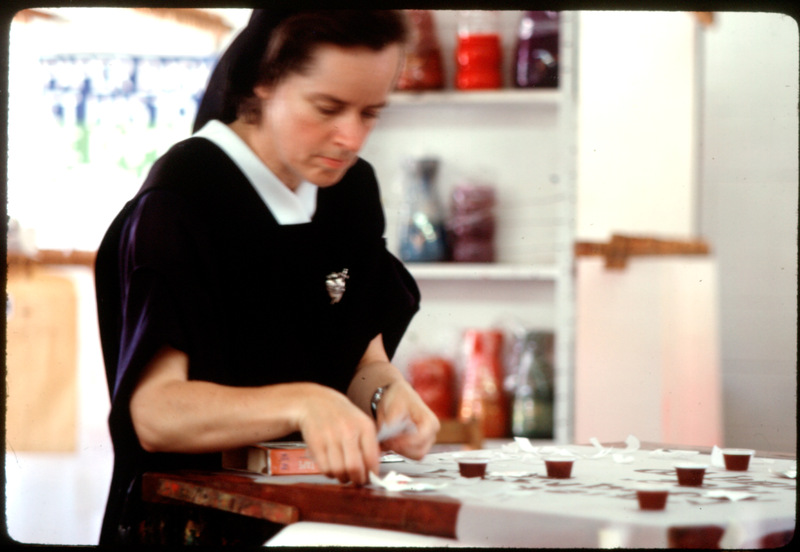 The Corita Art Center, a project of the Immaculate Heart Community, preserves and promotes Corita Kent's art, teaching, and passion for social justice. Today, the Corita Art Center facilitates exhibitions by lending artwork all over the world, oversees image and merchandising rights, sells her remaining original prints, and serves as a resource for information about her life and work. View art by Corita, and explore themes found in her work. Read about the life and work of Corita Kent. 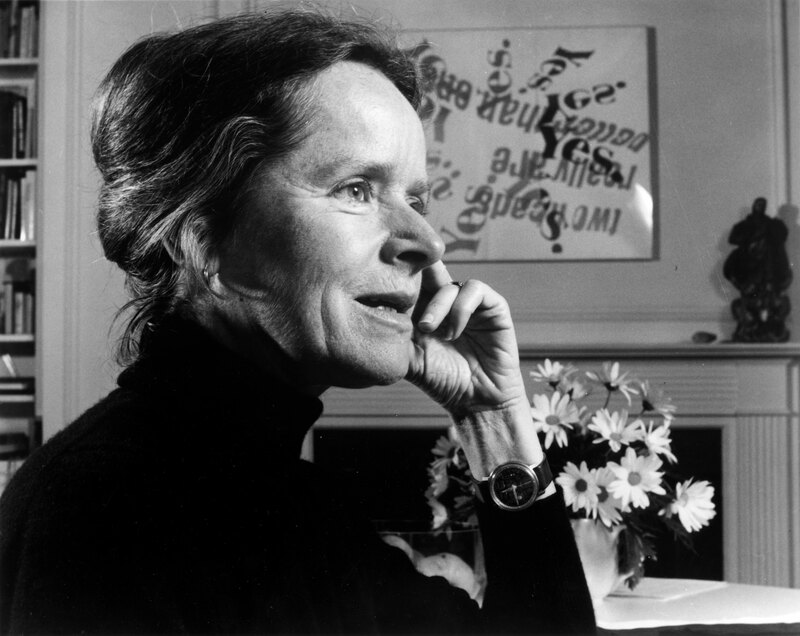 Download scholarly essays about Corita and her legacy. Learn how Corita conceived and her created her serigraphs. "Corita Kent in the Grunwald Center Collection." Corita Kent in the Grunwald Center Collection. 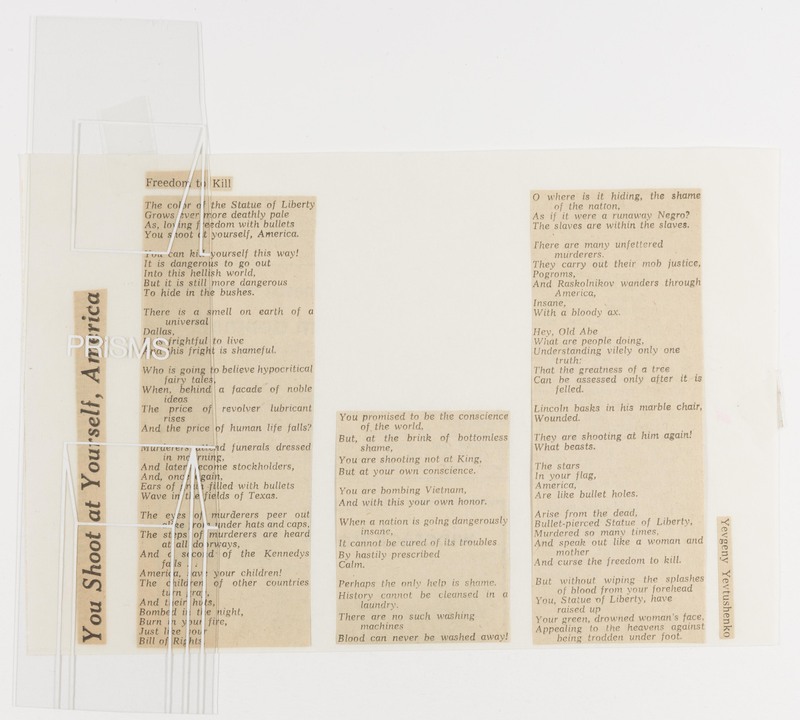 Los Angeles: Hammer Museum, 2017. https://​hammer.ucla.edu/​collections/​grunwald-center-collection/​corita-kent/​.